I remember the first time I saw a Maplelea doll. It was in December of 2009 at an extended family Christmas party. My own daughter was just shy of her first birthday at the time. Her cousin was about 6 and when she arrived carrying this beautiful doll she brought it straight to me. 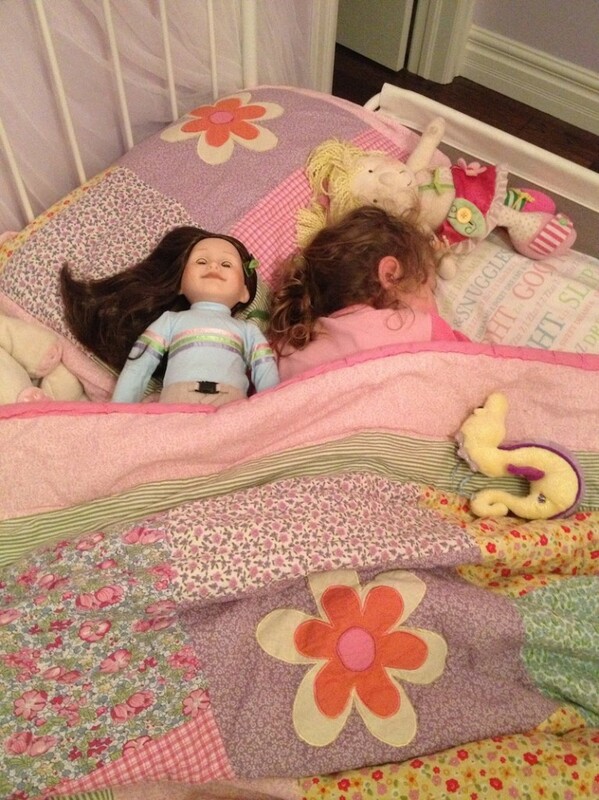 She wanted to show me that her doll had the exact same name as my daughter, Taryn. It only took a moment to realize that this was no ordinary doll. The detail on it was beyond anything I’d seen before, everything from her hair to her clothes to the accessories seemed to be exceptional. I asked where the doll had come from and it was then that I first learned of the Maplelea Dolls. I found myself looking at the doll several times that day and made a mental note to do some research once I got home. I was especially pleased to learn that the dolls were made by a Canadian company and that they were more than just a pretty doll to carry around. The dolls each have their own uniquely Canadian story to go with them. They come with a keepsake journal that tells your child all about their culture and heritage and includes some things they like to do based on where they are from. 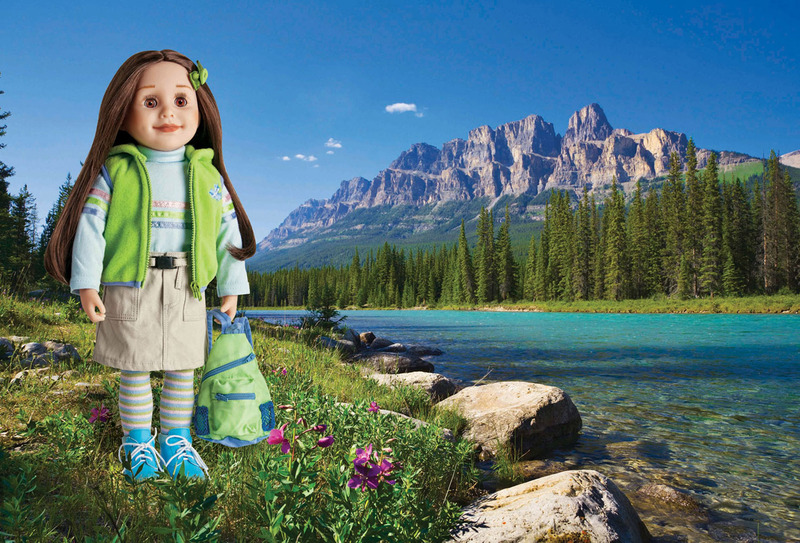 There is even space for your child to record information about their adventures with their Maplelea doll. The quality of these dolls is difficult to explain without seeing them. The most striking thing I noticed about our Taryn doll is her gorgeous hair. I am very seriously jealous of a doll’s hair. It’s true. I can’t even stop myself from wanting to brush and play with it so it’s no wonder that my daughter loves to do the same. You can even wash it with shampoo and let it air dry, just don’t use the blow dryer or any heated items if you want to maintain it’s beautiful texture. The eyes open when she’s upright and close when you lay her down and her feet are flat so that she can stand entirely on her own. While her face resembles porcelain it’s actually vinyl which makes it durable while keeping the delicate appearance. When we named our daughter, I hadn’t ever known another Taryn so it was a lovely surprise to learn that there was already a doll with a name that clearly I think is beautiful. I almost bought the doll back in 2009 when I first saw her, planning to tuck it away and save it for when my Taryn was old enough just in case they decided to discontinue this model. I held off but never stopped asking myself if she was now old enough for me to buy it. I’d convinced myself that four was an appropriate age and we almost made it that far. Although she’s still a little younger than the recommended 6 years and older age range given by the company my sweetheart certainly doesn’t think so. We read the keepsake journal to her and she tells us what “her Taryn” wants to do next. It’s really quite adorable. Even her 4 older brothers talk about the doll as if it’s a real person that their little sister is entertaining. I may even have caught one of the boys brushing her hair, though I’ll keep his identity safe or pay the price. Having 5 children we already have a lot of “stuff” in this house. I’m always at a loss when people ask what the kids want or “need” for Christmas. Add to that a January birthday and I never have enough ideas to go around. This year has been made so easy for me because I can direct family members to the website to check out the large collection of accessories and outfits that will make playing with Taryn even more fun. I have a funny feeling that both Taryn’s in this house are about to be spoiled this holiday season. For once I’m not dreading the arrival of all the new stuff and instead I’m excited to see what she gets so that I can play too. 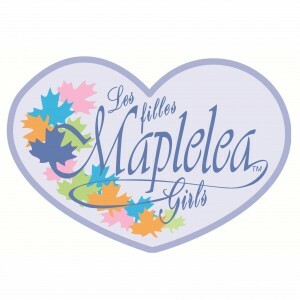 Have a look at the Maplelea website to see all of the original dolls and check out their new friends line. Tell us here which doll you would choose with your child and why. You can also like them on facebook and follow them on twitter. I love these dolls – maybe even more than my DD would LOL I think she would love Taryn! Gorgeous dolls! I didn’t know Maplelea Dolls were going to be part of the giveaways – Bonus! i would love a spanish-y doll for DD! I would love to add one of these beautiful ladies to my girls’ Christmas gifts!! What awesome dolls…Jenna is super cute with the red hair! There are very nice looking dolls. I have just seen these recently and am smitten. I think its a great that the dolls all have their own identity. I know my daughter would love one. We would choose Leonie, she is blond just like my girl. My daughter would LOVE the Brianne doll. Would love to win the Brianne doll! I would love to win the Taryn doll for my DD. She would think it was amazing!! I only just discovered these at Toys r us this year. I love them. They have the best accessories too. The detail in their clothing is amazing! And I love that they each have a different type of pet associated with them. Great dolls and Canadian company too! I love the Brianne doll. She is all into horses just like my daughter. I still say I would choose Taryn … but Leonie looks a bit like my DD and that would be cool too!! I thought I had added my fav here but its Taryn!! The accessories are neat..how would you decide what to buy?? ?